Home / News / Koffee with Karan’s exciting new guest list! Koffee with Karan’s exciting new guest list! 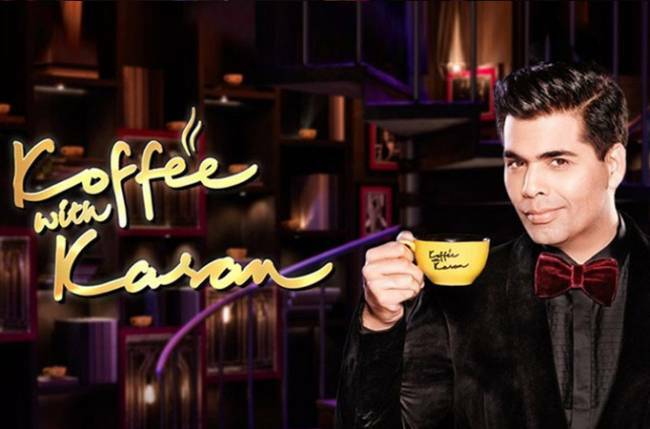 MUMBAI: Koffee with Karan will soon air on Star World. This time too, the show has an interesting guest list. Here are some names! Saif Ali Khan and Sara Ali Khan: This will be the first time the father–daughter duo will be seen together. It will be exciting to see them on the show as it is known for its fun element. Alia Bhatt and Deepika Padukone: Again, this is an interesting pair to look forward to. These two will definitely bring add a lot of spice to the show. We are sure Karan will have them reveal tons of secrets. They will open this season. Ranveer Singh and Akshay Kumar: The two actors are ruling Bollywood currently. Considering the powerhouse of talent they are, we can’t wait to watch them together. Arjun Kapoor and Janhvi Kapoor: With this brother–sister duo on the show, it will be one hell of an episode. As we know, the two weren’t on good terms for quite some time. It will be interesting to hear about how they built their relationship. Varun Dhawan and Katrina Kaif: This is one of the speculated pairs. If they do share Karan’s couch, it is bound to be a sizzling watch. We also hear that Aamir Khan and Big B will be coming on the show together during Diwali to promote their upcoming movie Thugs of Hindostan. It seems like this season is going to be a rocking one.